Welcome to Navis Marine Insurance Brokers, a Speciality Insurance Brokerage dedicated to providing protection and insurance coverage for the unique needs of marine related clientele. With over 20 years of experience, we take pride in offering our clients specialized insurance packages and policies that help them protect their assets and their businesses. Our brokers have relevant experience that applies to the safeguard of you and your vessel including: building related risk management solutions, recreational watercraft insurance, complex marine operations and high-level knowledge of legal statutes including the Marine Liability Act and the Canada Shipping Act and more. In addition to our professional experience we offer our clients personal and intimate knowledge of the industry including: experience aboard commercial vessels, race management, serving as Commodore of a yachting club, marine search and rescue, extensive experience with pleasure crafts and recreational boating and involvement in marina construction. Being personally involved in sailing, marine activity and boating gives us a critical edge in understanding our clients’ needs and ultimately protecting the assets and businesses they have worked so hard to build. For 40 years, Pacific Yachting has been the voice of boating in British Columbia. Good luck to all Vic-Maui participants! We create professional websites. Our client’s sites are stunningly designed, highly functional and fully maintained using our web content management system, Vortex CMS. We can quickly develop company profile websites; ecommerce sites with real-time payment and shipping integration; subscription-based sites; music and video rich sites; complex dynamic sites; interactive sites; custom databases and scripts; corporate identity and custom designed print media. If you’re looking for a company that will understand what you want and deliver it quickly, we are the right company for you. Based out of Vancouver, Canada, First Yacht Services provides specialty marine services for British Columbia and the Pacific Northwest. We specialize in yacht commissioning, Webasto Marine heating systems, Raymarine electronics and electrical upgrades. We proudly work with Grand Yachts. The Greater Victoria Harbour Authority was established in 2002 to act as an advocate and steward for Victoria's beautiful harbour. We are passionate about the power of the harbour to act as a catalyst for Victoria to fulfill its destiny as having one of the most outstanding harbours in the world. The GVHA is proud to sponsor marine-based festivals and events on its properties for all to enjoy. We envision a harbour where people live, learn, work, and play; a spectacular gateway into Victoria's past and into its future, monumental in look and feel, linking communities and all people together. Harken gear has dominated such events as the America's Cup and Olympics. Harken blocks, travelers, furling systems and winches can be found aboard everything from the smallest dinghies to the largest megayachts and cruisers. Harken is distributed in Canada by Western Marine Company, www.westernmarine.com. The World Leader in Sailmaking: North Sails has become the world leader in sailmaking through an ongoing commitment to making sails that are faster, lighter and longer lasting than any other sails in the world. Whether you race or cruise, North Sails is committed to designing and building sails that are just right for you! When performance counts, the choice is clear. Professional riggers to racing and cruising yachts. Ralph’s Radio carries a wide variety of communications products including an extensive line of Satellite telephones, modems and accessories for major satellite networks including Iridium, Inmarsat and Globalstar. If there is something you are looking for but do not see, please contact us. When you’re in the market to buy or sell a sailing yacht in the Pacific Northwest, we would appreciate the opportunity to serve you. Although we’ve sold nearly a thousand boats so far, what’s far more important is the quality of the buying or selling experience you have as our customer. Our multiple Beneteau Platinum and Island Packet Yachts Golden Wrench Awards will lend you confidence that your purchase, delivery and after sales service experience with us will be a great one! We’ve enjoyed receiving awards from leading yacht builders in the world recognizing us for superior customer service and these awards are a direct result of customer feedback about your buying experience. Survitec Group Vancouver - DBC Marine Safety Systems Ltd. is now owned by the Survitec Group. The company manufactures highly engineered and quality marine Lifesaving equipment, Survival Clothes and equipment, and Fire Safety Systems for both Marine and Commercial applications. DBC was incorporated in 1977 and is one of the largest and most experienced marine lifesaving equipment manufacturers. Since its inception, DBC has developed and continues to manufacture a comprehensive range of yachting and commercially approved liferafts, platforms and passenger evacuation systems. For 50 years Mustang Survival has been engineering high-performance marine gear for military, coast guard, and rescue personnel. With a focus on applied research and field-testing, we’re committed to the protection and enhancement of those who push themselves to extremes. We build gear that saves lives and fuels exploration. Operating in Maui and Lanai waters, Hawaiian Ocean Rafting offers whale watching tours, snorkel trips, and private charters. 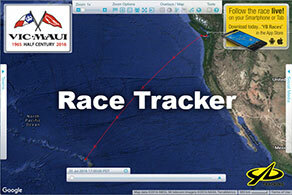 We are a proud supporter of the Vic-Maui International Yacht Race. See us online at www.hawaiianoceanrafting.com, call us at 808-661-RAFT (808-661-7238), or visit us at Slip #8, Lahaina Harbor. Mount Gay Rum is the product of 310 years of knowledge, experience and refinement. The muddled rum drinks of the 18th century were the beginning of the modern cocktail. Tavern bartenders of the time had to be quite creative, using what fresh fruits, sours, and spices were available to make the fiery bite of early rum palatable. Today, the refinement of rum cocktail culture has evolved into a nuanced skill that uses the specific flavour profiles of high-quality Mount Gay Rums to lead the creation of new drink recipes. Blending with the complex character Mount Gay Rums is nothing short of a fine art. Sailing vessels carried exotic trade from the colonies and introduced Caribbean flavors to Europe and the Americas. This period of shipping was an important part of Mount Gay’s Heritage. For centuries ships were the only way by which Barbadian sugar and Mount Gay Rum could meet global demand. Bridgetown, the capital of Barbados is one of the oldest seaports in the Caribbean and the port from which Mount Gay Rum sailed into the glasses and gullets of the world. Hester Creek Estate Winery is situated within some of British Columbia’s oldest vineyards in the bountiful Golden Mile region. Welcome to beautiful Victoria, British Columbia and the Hotel Grand Pacific. Luxuriate your senses—breathe invigorating sea air from your private balcony, pamper your dining pleasure by indulging in cuisine prepared with fresh local ingredients in The Mark and The Pacific restaurants, Courtyard Café, Pacific Lounge, and in-room dining service; renew your energy in our health and leisure facilities; and experience genuine intuitive service delivered by our professional staff. Facing the Inner Harbour and adjacent to the Legislature, the Hotel Grand Pacific is 2 blocks from the downtown restaurant and shopping scene, 2 blocks from the Victoria Conference Centre and 5 blocks from Fisherman’s Wharf, a working harbour surrounded by an array of food kiosks, unique shops and ecotour adventures. Click here for the Hotel Grand Pacific - 2016 Vic-Maui rate sheet. Harbour Towers Hotel & Suites (345 Quebec Street, Victoria) is offering group rates plus discounted parking; access to Club 345 Fitness Centre including indoor pool, hot tub and sauna; complimentary high speed Internet access and use of Business Center; and access to Victoria Sports Lounge. Click here for the Harbour Towers Hotel & Suites - 2014 Vic-Maui rate sheet. For reservations, please call 1-800-663-5896 and quote group name "Vic-Maui". The Coast Victoria Harbourside Hotel & Marina features a spectacular oceanfront location, providing one of the most captivating views in the area – Letting guest soak in the natural beauty and historic splendor of Victoria, right from their hotel accommodations. Our business hotel is situated on Victoria’s lively outer harbour, featuring a full-service 42-slip marina, award winning restaurant and gorgeous event spaces. Each one of our well-appointed guest rooms feature large windows to take in the fresh ocean air. Most offer Juliet or patio-style balconies. Many of our hotel rooms & suites feature breathtaking harbour views. Should you absolutely need to stay connected, all guestrooms feature complimentary Wi-Fi and local calling. While visiting, be sure to take advantage of our whirlpool, sauna, fitness centre and Victoria’s only indoor/outdoor pool. Also visit our award-winning restaurant, Blue Crab Seafood House, which has been recognized by Frommer’s as the “ best seafood spot in Victoria,” and is the recipient of the Wine Spectator’s Award of Excellence for the past 10 consecutive years. Strathcona Hotel (919 Douglas Street, Victoria) is home to a variety of entertaining, fun and relaxing venues including The Sticky Wicket Pub, The Clubhouse Grill, Lounge & Latenight, The Games Room Bar, World Famous Big Bad John's Hillbilly Bar, The Rooftop Surfclub & Beach Volleyball, Club 9ONE9 and The Strath Ale, Wine & Spirit Merchants. Strathcona Hotel is offering its "Tour Group" rate for 2014 Vic-Maui International Yacht Race participants, family and friends for $105.00 or $135.00 + applicable taxes, based on availability. Reservation by phone or email only, toll free 1-800-663-7476 or reservations@strathconahotel.com. Quote "Vic-Maui" to receive these rates. The Sheraton Maui Resort is offering special rates for the 2016 Vic-Maui International Yacht Race. Deposit/Cnxl Policy: 2nt deposit due 10 days after booking. 72hr cancel policy or forfeit 2nts. For reservations, call 808-921-4646 and ask for the "LYC16" rate.